The Zwanenhof Retreat is accommodated in a former monastery, located in the middle of the rural landscape in the eastern part of the Netherlands. The old monastery is currently used for conferences and mental and spiritual training. 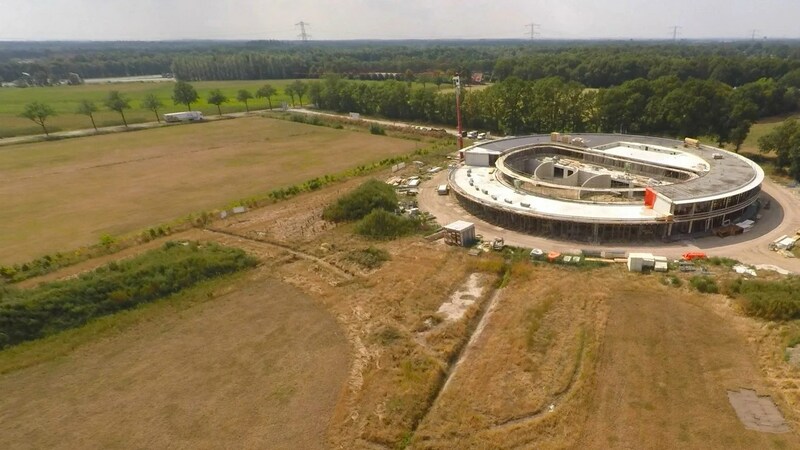 The Zwanenhof has expressed the ambition to be able to offer a more complete range of care-related services including facilities for mental and physical recovery. In order to realize this ambition a new Health Resort is being developed as an annex to the old monastery. The new facility is mainly intended for patients recovering from surgery, people with a burn-out and athletes. 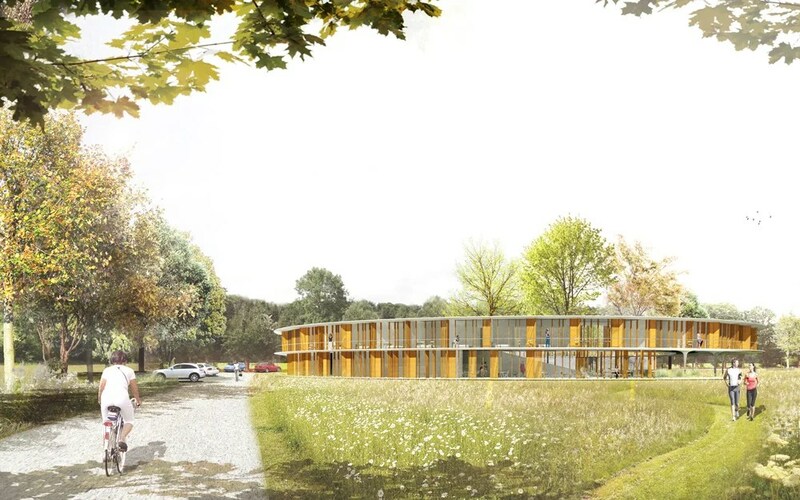 The new building is designed as an omnidirectional pavilion fully surrounded by the landscape. 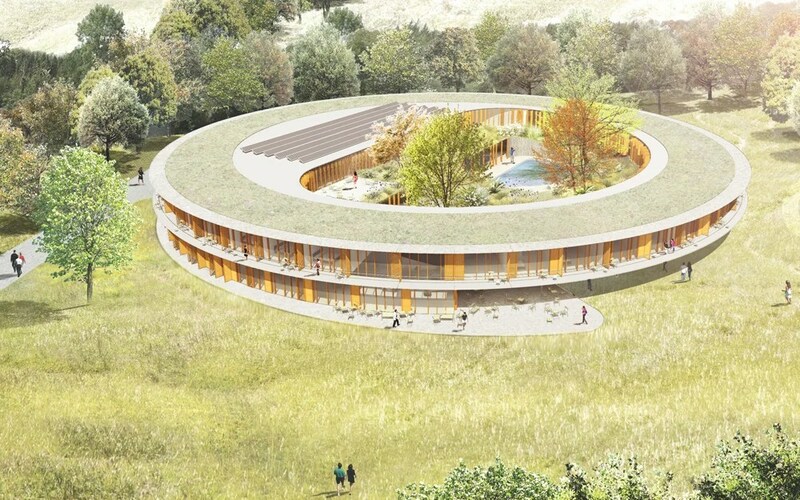 In order to reduce the impact on the landscape the building volume has a circular and compact footprint. The center of the circle is being kept open. Here, the landscape literally flows into the building and a private patio garden evolves. In the building many facilities are accommodated. Next to 60 hotel rooms it offers a wellness (including indoor and outdoor pool), a gym and a restaurant. Each hotel room has its own unique view and character, determined by its position in the circular building and its relation to the sun, view and degree of privacy. The restaurant is orientated to the public side of the building next to the main drive way and the inner courtyard garden. The building will be built according to the BREAAM certification.